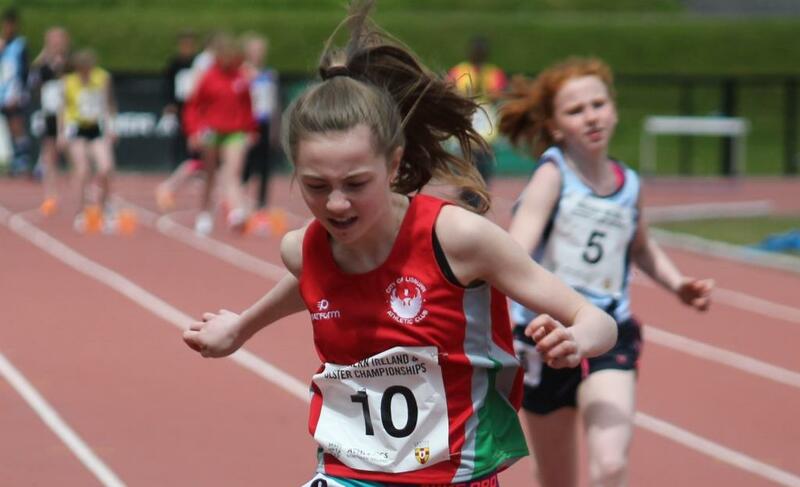 City of Lisburn Club News : City of Lisburn A.C. » Ulster U14 and U15 Championships. Ulster U14 and U15 Championships. On Sunday it was the turn of our younger athletes to test themselves against the best club athletes in the province and they did extremely well. In the U14 girls we had HollieG who took bronze in the Shot Putt as well as competing in both the Long and high jumps. CaraT was also involved in that Long Jump as well as reaching the final of the 80m sprint. HollyM dominated the 75m hurdles to take the gold medal and Ulster title. We had two U15 boys in action who both high jumped with TomO’D winning the event with his 1.60m clearance ahead of AdamB. Tom also took a silver in the Long Jump and Bronze in the Hurdles to complete the set and a very successful day. Our biggest representation was in the U15 girls where OliviaS got us off to a great start with her victory in the PV with a PB clearance of 2.65m. Next we had ErinF take the silver in her first outing over the 80m hurdles. RebekahR also took a silver in the shot putt with 7.81m. Cousin Sarah was in action in the 100m where AnnaM won the gold ahead of Amie in 4th and AlexM in 6th. The three ”A”s completed a CoLAC clean sweep in the 200m with Anna taking her 2nd title of the day ahead of Amie in 2nd and Alex in 3rd. Alex took another bronze in the javelin with Amie taking 5th. 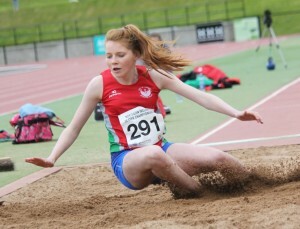 In the Long Jump Shannon took a bronze ahead of Erin who was in 6th with a PB of 4.43m and Alex in 8th with 4.31m. Erin then moved straight to High Jump where she took gold with a PB of 1.40m. We also had some of the older athletes running their 800m races today and we picked up another medal here with SarahF taking 3rd in the U17 girls event while Sean finished 7th in the U16 boys race. Top 4 in each event have qualified for the Irish Age Group in July. Once again, well done to everyone who turned out in CoLAC colours today.